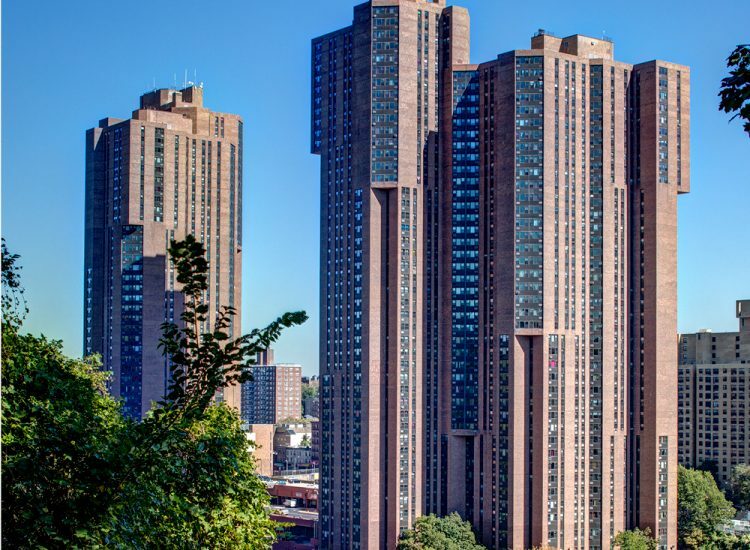 Bronx, NY | River Park Towers, a two-tower 1,654-unit low-income housing in the Bronx, had energy-related problems that were severely impacting consumption, tenant comfort, and cost. When Hurricane Sandy hit in 2012, the lack of backup power was dangerous to tenants and building operations. One of the biggest challenges was the electric baseboard heating system. Installed in the 1970s when electric prices were low, the technology made economic sense for such a large complex. However, drastic changes in utility pricing over the last 40 years put River Park Towers at a significant cost disadvantage. Omni New York, LLC needed an energy plan that would be economically viable for years to come. Omni hired Bright Power to implement a comprehensive energy retrofit to address the full scope of energy issues. Our energy audit revealed opportunities for major savings, from simple common area lighting replacements to deeper retrofit measures, such as the conversion from electric resistance heating to natural gas. Our feasibility study identified that a 1 MW cogeneration plant would provide more efficient power in addition to on-site backup power to the building’s critical systems. 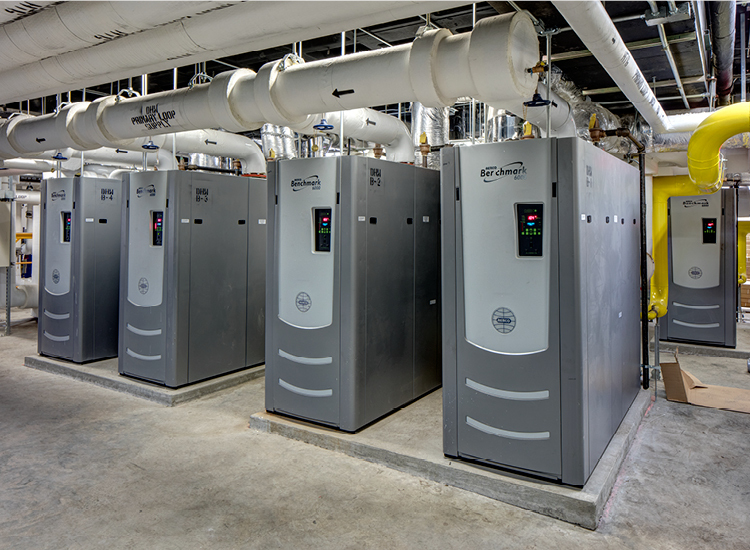 The property’s eight different electric services added complexity when it came to the design of the cogeneration system. Through collaboration with Omni’s engineer of record, Bright Power identified that the unit as-designed would only be able to run at half capacity and proposed changes to the electrical system that would allow the building to fully utilize all of the electricity produced from the turbines. Bright Power also oversaw testing of the entire system. 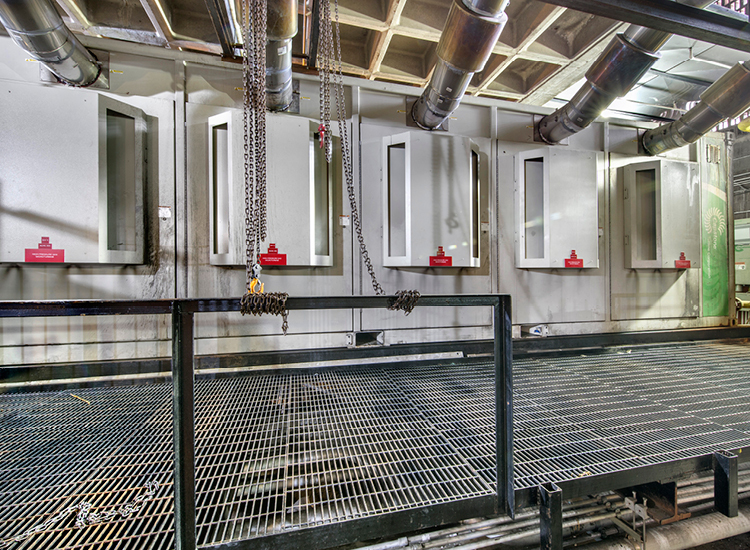 This included a full functional test of the system’s backup power capabilities, which required coordination between building staff, elevator contractors, cogeneration equipment vendor, electrician, and various manufacturer’s reps. Through careful planning and quick troubleshooting, Bright Power was able to limit the interruption of water and elevator service to thousands of resident to just two four-hour testing windows, while demonstrating the system’s capabilities to perform in the event of a real blackout. 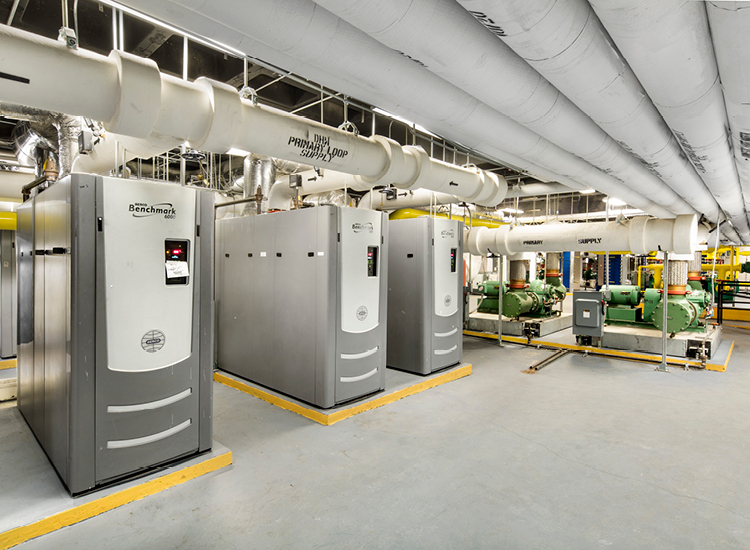 The extensive retrofit was truly transformative, resulting in higher occupancy rates, vastly improved tenant comfort, reliable backup power, and savings. In just the first year, energy use was reduced by 41%, resulting in over $2 million in savings! Since working with Bright Power, we've measured tremendous improvements in energy performance, in the lives of our tenants, and in the viability of the property.